Prevention Magazine recently sited an Alzheimer's music study in which participants spent ten minutes twice a day recalling positive memories. After only one week, they reported having a greater sense of well-being and happiness and even improvements in their blood work tests. There are also a number of studies reporting the beneficial effects of music therapy for Alzheimer’s patients. Although there are no direct studies relating old time radio and memory, many customers testify that old time radio has a similar effect. Customers often write to me about the positive effects of old time radio on a family member or friend with memory impairment. 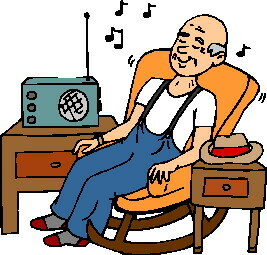 From anecdotal evidence it seems that old time radio helps those with Alzheimer’s disease or memory issues. Many Alzheimer’s patients are able to recall long-term memories and listening to old time radio helps them to access positive memories. One customer reported that his mom with memory impairment was able to recall exact details from a Jack Benny episode—right down to the punch lines! Another customer said his aunt enjoyed the old time radio shows so much that the nursing staff asked if they could share the programs with the rest of the ward. The shows were enjoyed by many of the patients and even prompted a lively discussion. My great aunt also passed away from complications of Alzheimer’s disease, but she enjoyed listening to music and it was something she and her children could do together.